Since late 2010, Marc has dedicated his professional life to addiction and recovery, and built a name for himself through some intense recovery coaching and intervention work. His service and compassion-based approach make him a valued addiction specialist, and an integral member of the CCM team. Time and time again the feedback we get from clients is that Marc provides the sense of calm and direction they need to navigate even the most challenging interventions. 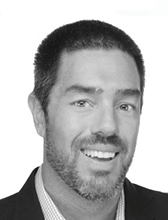 Marc is a graduate of Emory University and is currently pursuing a Masters in Counseling. A native South Floridian, Marc has strong family ties throughout the state. When he's not studying or helping a client, you can find him on the water or immersed in some outdoor activity.